The modern-day consumers are way smarter than they ever were. Most of them have basic knowledge about the products or services that they are interested in or require depending upon their expectations and demands. In modern time, people expect convenience, transparency, and quality while investing in a particular brand or business sector. The Indian healthcare is the second largest consumer-spending sector which is currently at a size of about US$ 65 billion. It’s suggested to notice that out of this total size, only around US$ 5.5-5 million is associated with hospital supplies and healthcare equipment. Retail health is without a doubt an emerging segment that will turn out to be a profitable business opportunity in the near future. Retail healthcare is expected to be all about providing convenient and quality treatments and care to millions of people residing in a country like India. Moreover, retail health can emerge as a segment that could target the existing and new patient population within the country and globally. 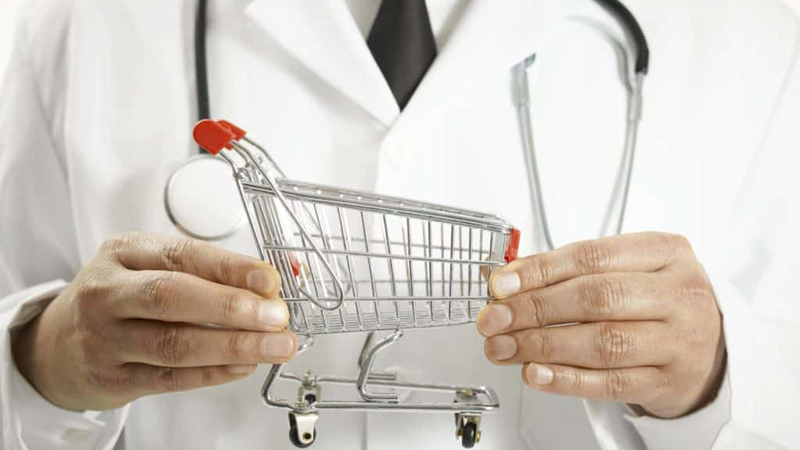 Retail health and retail medicine are gradually picking up pace within the Indian healthcare industry. Healthcare experts are planning to offer quality in-store healthcare services that could engage the modern-day patients with their brands. Retail health can open up opportunities for Indian healthcare investors for making and encouraging healthy behavior approachable and easier. This could also help them in analyzing the key aspects required to design or plan a long-term growth strategy for their brand’s success. Additionally, retail health could enhance and thicken the client relationships that were earlier formed through online platforms. A store has been an old and proven model/location for consumers to buy products or services. But, it’s now just a step in the shopping spectrum due to the constant bombardments of challenges from the online shopping platforms. Today, the stores are believed to create customer experience along with generating ideas on how to successfully connect to the modern-day customers, meeting their basic requirements and demands. Similarly, healthcare experts could consider this as an example by trying to attain an enhanced patient relationship. One could consider engaging people by targeting where they live. Patients had always been inclined towards flexibility and convenience that could be seen growing with passing days. Keeping the concern in mind, Indian healthcare experts could design and introduce a space that could be locally relevant and tailored to specific needs. It is believed that this kind of services could increase the annual growth in retail clinics by 25-30 percent. Therefore, healthcare investors could introduce retail clinics that could satisfy the modern-day patient demands like on-demand information, accessible location, extended hours, walk-in appointments and more.